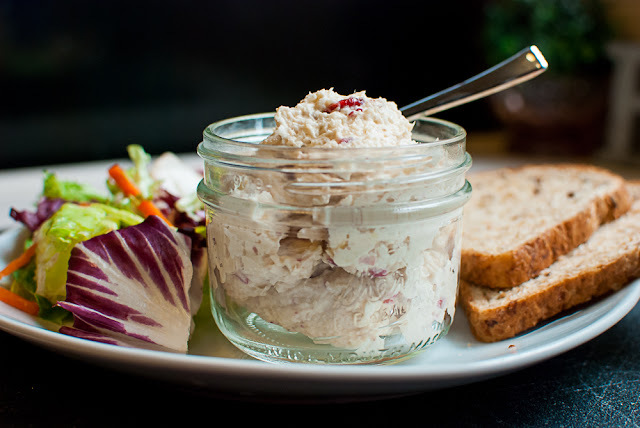 Chicken Salad is one of my favorite go-to easy recipes for summer picnics and spring brunches. 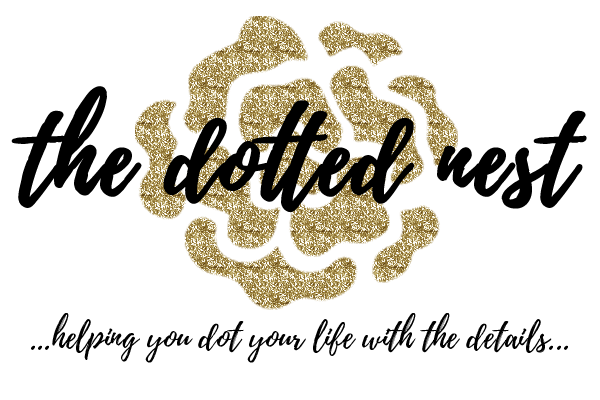 It is especially great for bridal showers or baby showers since you can make it ahead the day before, or it's easy and fast enough to make the day of your party. 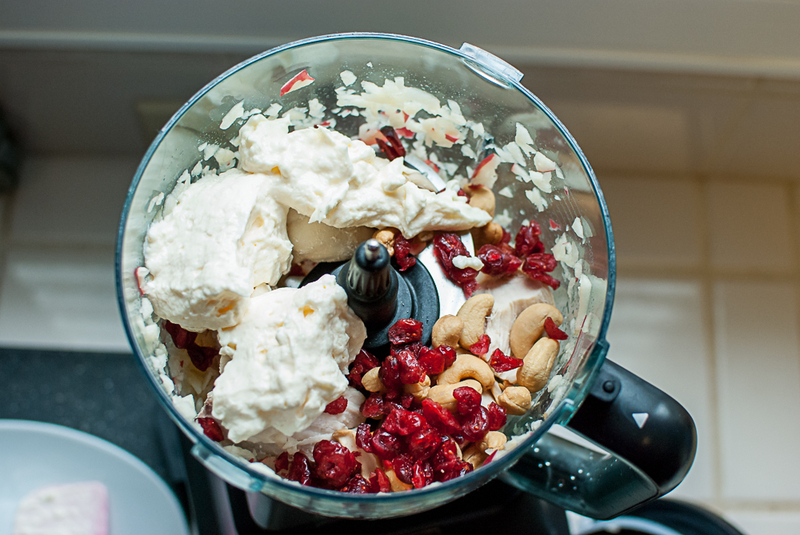 This Chicken Salad recipe only uses 4 ingredients, or 5 if you throw in a handful of cashews! I like to serve the Chicken Salad on a croissant roll for parties, but because I've been watching my carbs lately it's still really yummy on a bed of lettuce, or salad...but bed of lettuce sounds so much more elegant! (ha!) I love this Chicken Salad recipe for the summer because you don't have to turn on the oven unless that's your preferred cooking method. I use the Crock-Pot to cook the chicken breasts. This Chicken Salad recipe really couldn't be any easier! I follow the Trim Healthy Mama eating plan, and if you're a THM'er too, this Chicken Salad recipe would fall under the S meal category. 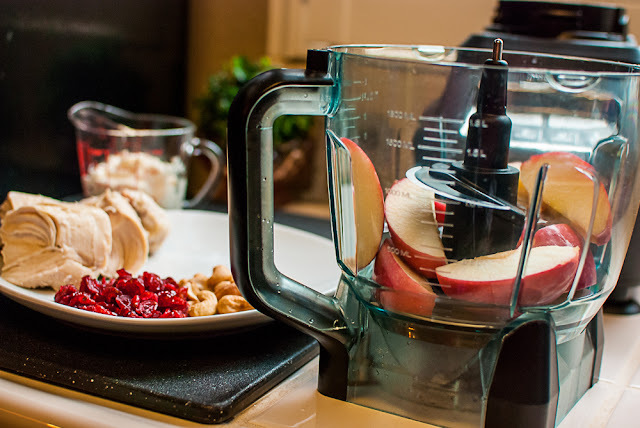 Of course, you can always tweak it to be a crossover if you're pregnant or nursing or just need a crossover, but it's a really easy S meal and full of protein. You can visit the Trim Healthy Mama store to purchase the books if you're interested in learning more about the plan. 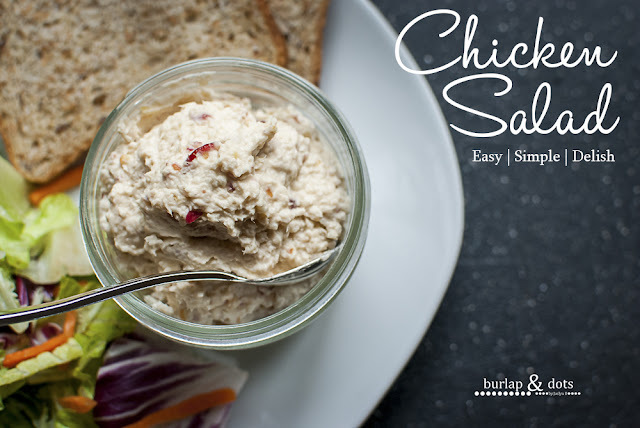 Chicken Salad, Easy | Simple | Delish! - Cook your chicken. I use boneless skinless chicken breasts, but you can use the chicken tenders also, however I think it's more cost effective to use the whole breasts. Cook the chicken breasts in your preferred method. I cook mine in the Crock-Pot with just enough water to barely cover them so they stay moist. Sprinkle just a dash of onion powder and garlic salt, or you can season the chicken however you would like. I do find it better as a "less is more" approach. You don't want the seasoning to be overpowering! You can boil your chicken or bake it in the oven, but if it's warm weather outside the Crock-Pot method might be your best friend! - When your chicken is done cooking, cool it in the fridge for an hour or so. 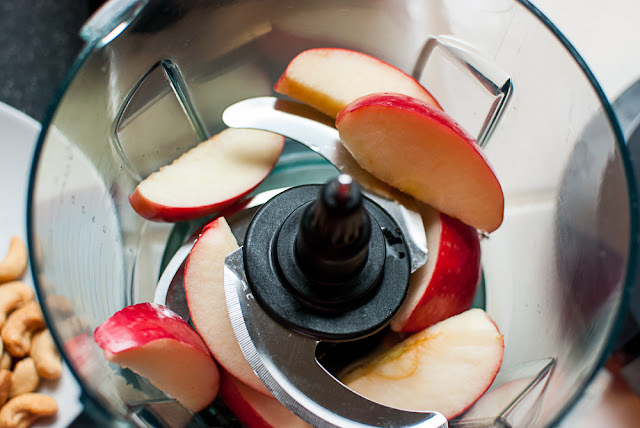 - Cut your apple into slices and place in the food processor and give it a couple of pulses. - Add the cooled chicken breasts, mayonnaise, a handful of dried cranberries and cashews to the food processor and let 'er rip tater chip! 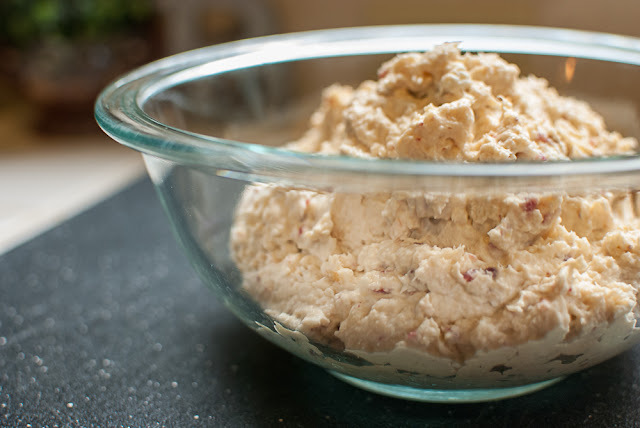 I prefer my Chicken Salad to have a smoother texture, but if you like yours more on the chunky side only give it a few quick pulses. That's it! Your Chicken Salad is done! I like mine as a Chicken Salad Sandwich on a toasted piece of low-carb sprouted flax bread, (which keeps it in an S mode for you THM'ers), or on top of a salad. 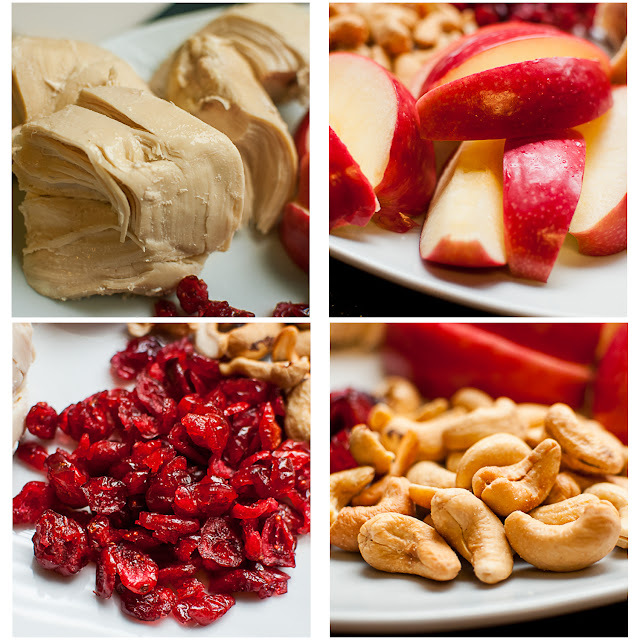 Toss some in a Mason Jar and you have an on the go lunch option. 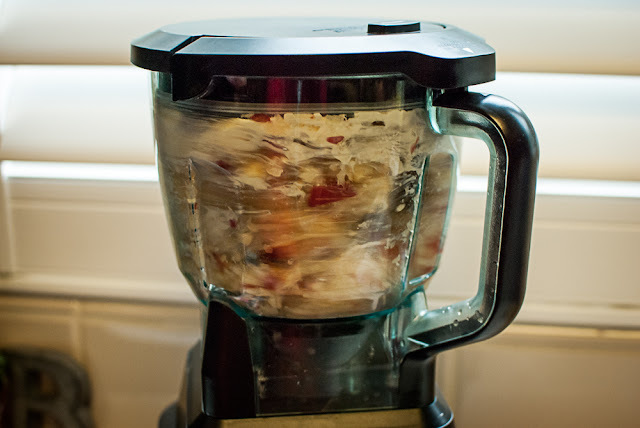 I hope you enjoyed this Chicken Salad recipe! If you'd like to learn more about Trim Healthy Mama, you can read this post. 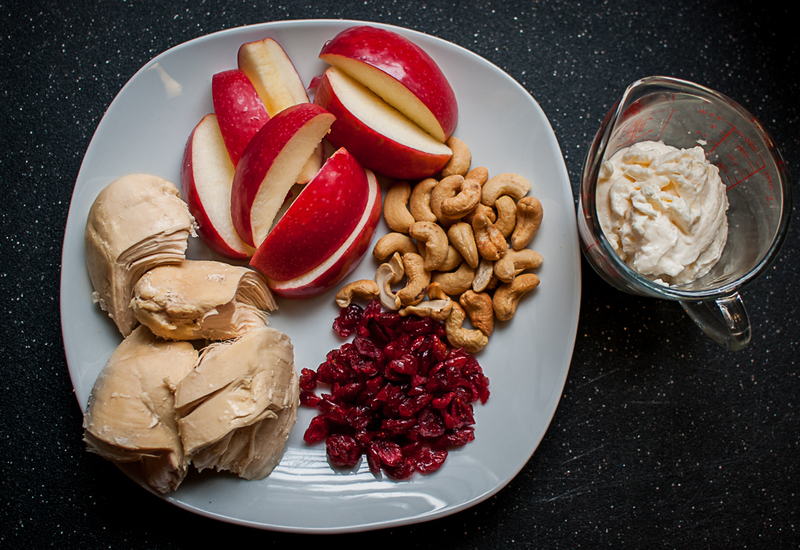 I love cashews in my chicken salad! I've never put apple or craisins in my chicken salad but this look so yummy I will have to try it.